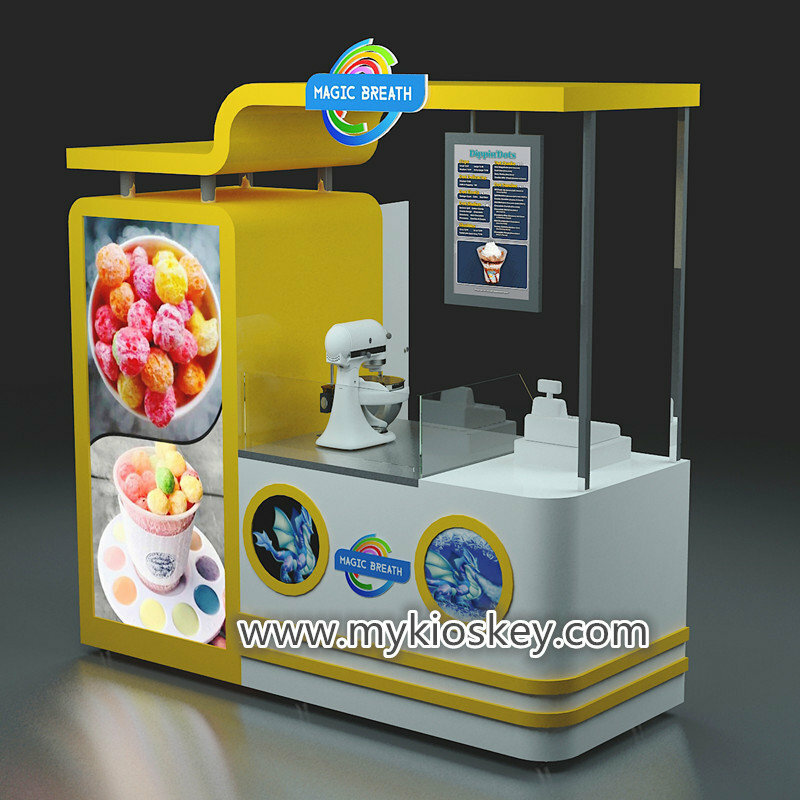 Magic smoke ice cream cart is a moveable retail shop used in mall. Smoke ice cream cart is coming! Summer is coming soon. Whether becomes hotter and hotter. In Summer, cold food always is our favorite food, specially ice cream. Recently, there have one ice cream which is very popular, it is smoke ice cream. i don’t eat, but from now situation, it should be perfect food. 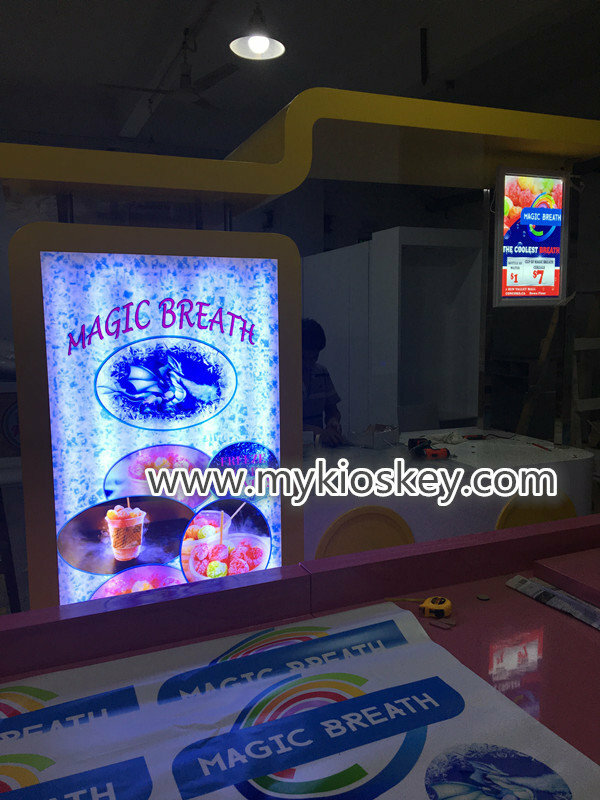 And recently more and more customer customize smoke ice cream cart and kiosk from us.We just finished one magic ice cream cart, so without any hesitate to introduce to you. 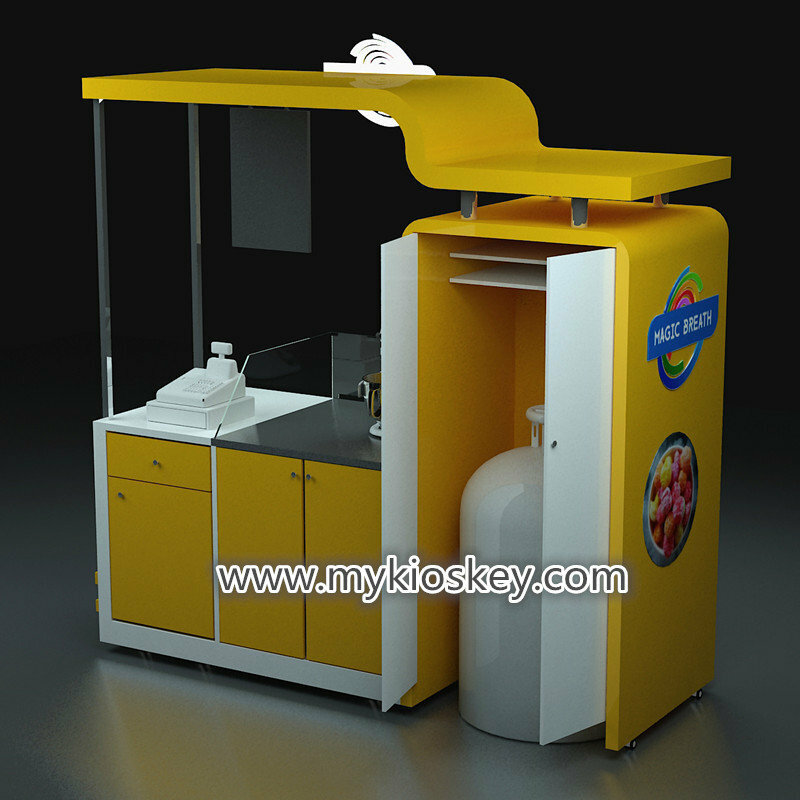 ok, please browse below 3D MAX design firstly of smoke ice cream cart. from different angles to show you. It is a customized product, so customers’ ideas and requirements are very important. We design strictly refer their requirements. And show you some real finished photos for this smoke ice cream cart. It is as same as design. We don’t change during production, also strictly refer design and CAD drawing to produce. 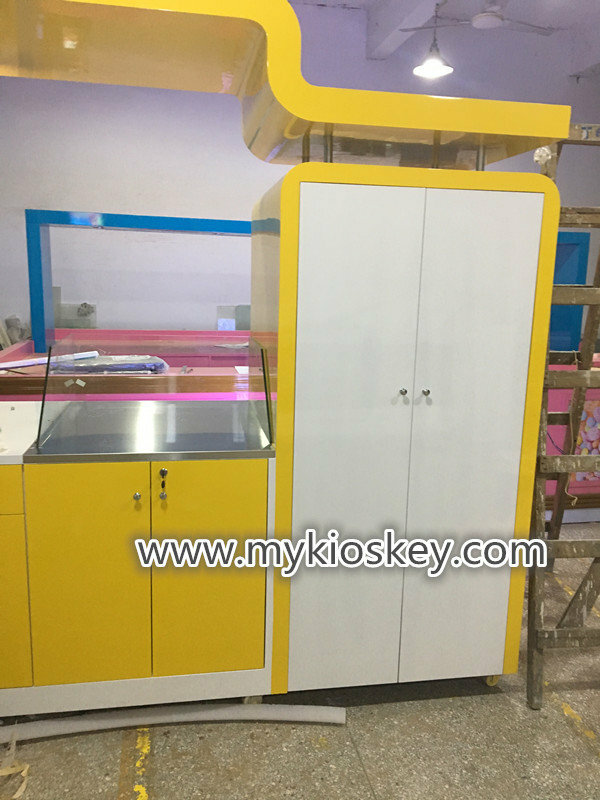 For machines, we left enough space for installing when customer get cart.Main materials are MDF with baking paint and stainless steel. 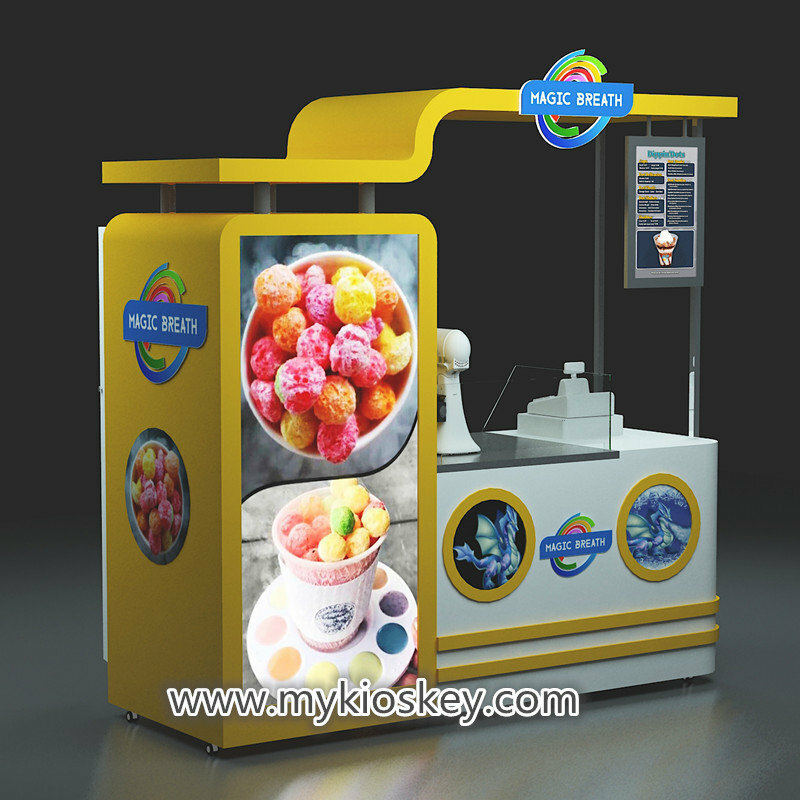 If want to know more details about the magic smoke ice cream cart, welcome to contact me at any time.